Email marketing is quite affordable compared to other communication methods. Initially, email became so powerful because it replaced the old-school direct mailing. Sending mails involved a lot of expenses, such as printing and sending the mails to postal addresses. Email marketing is the online version of direct mail and doesn’t involve any of these expenses. In the e-world, paid advertisements and SEO strategies are also quite expensive in the long-term. Whereas, email marketing is inexpensive and has a fixed payment. Email marketing can be easily tracked. Sending the email and waiting for a miracle is not how it works. You want and need to track the mailing strategy because people receive dozens of emails per day and tracking is the only way that will help stay competitive. Track the emails you send to see if they get to the recipient, if the recipient opens the email, and if yes, when they do so. All of this helps spot specific behavior and improve your strategy accordingly. The bad news is that promotional emails can often get spammed and not even make it to the main inbox. Email spam is a type of commercial advertising that is junk email or unsolicited bulk email. Unsolicited emails are the ones for which the recipient didn’t give permission for receiving. Emails are treated very strictly by mailboxes and sometimes, even a non-spam email can be sent to the spam box. To avoid ending in spam, make sure to work with reliable email service providers. Nowadays, people are overwhelmed by the amount of commercial emails they get on a daily basis. So even if you keep your emails to the minimum not to annoy recipients, people might still choose to delete or ignore your message. If you send emails too frequently, they will get annoyed and unsubscribe. When to Use Email Marketing? Email is the most reliable communication method in the business world. According to Earnest Agency, 72% of B2B buyers are most likely to share useful information via email. Emails give the opportunity to give more in-depth information regarding your marketing initiatives. In the business world, emotions don’t work. Logic is what will persuade the person to make a purchase, so you want to have enough space to persuade. Email marketing works best for B2B because the content in the email can be tailored according to the needs and give in-depth information about the product/service, and explain why the business should consider investing in it. Emails are also considered a more professional form of communication because people don’t like getting business messages to their personal phone numbers. No other form of mobile marketing has open-rates as high as mass texting does. SMS services have a 98% open-rates. People love their mobile phones and carry them all the time. On average, in each age group between 18 to 64, more than 97% of people use mobile phones. So businesses use SMS marketing for news, promotions, and updates. Mass texting is the most instant communication channel. Although email marketing is instant too, it is not real-time. Text messages are the only method to connect to people in real-time. That’s why they are perfect for notifications, news, and updates. You can take your time to create a catchy SMS promotion, and in the next second, it’ll literally be in your subscribers' pockets. 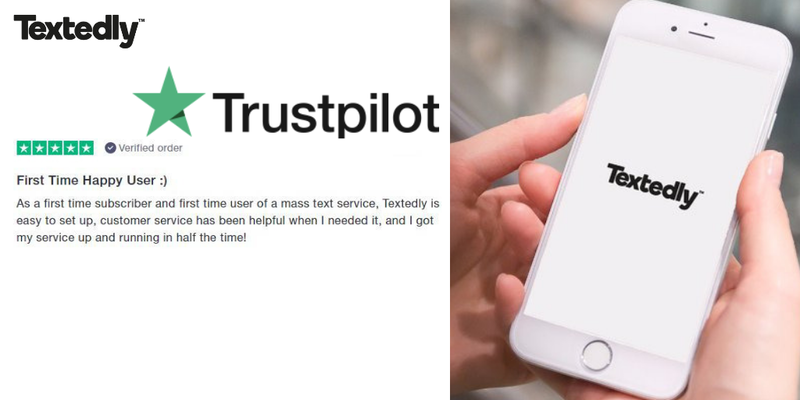 Bulk text messages allow you to send messages to hundreds and thousands of people and connect with them in real-time. However, if you can reach thousands of people quickly, it doesn’t mean that they are all your targeted current or potential customers. So there’s a risk of reaching a wrong audience. It’s important to pack-up your subscription list with people who are interested in you. This way you’ll avoid additional expensive and ineffective SMS marketing. As good as SMS marketing can be, it has some limitations. Messages must be under 300 characters, which means that you have to put a lot of effort into creating your SMS campaigns. It’s quite challenging to create a catchy content that is so short. When to Use SMS Marketing? SMS marketing works best for the B2C industry. Since texting is very quick, companies often use it to reach the customers for urgent updates or notifications. Hospitality and travel industries use SMS services for sending updates about reservations, cancelations or any other instant news. 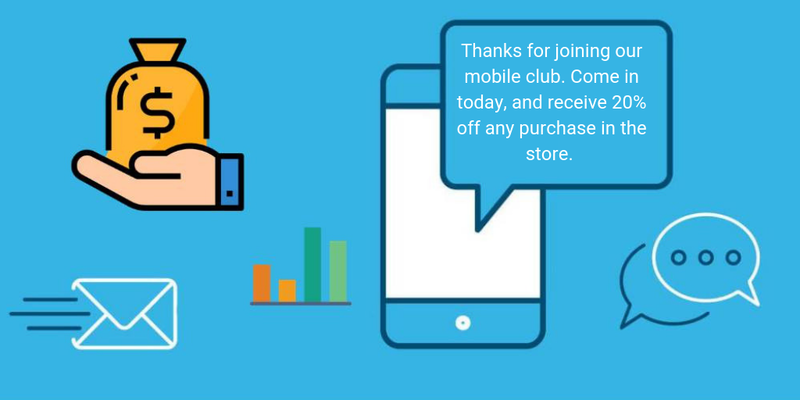 Businesses also can use SMS platform to boost the engagement with their brand by sending special coupon codes and promotions to urge subscribers to make a purchase. Text marketing works best when the company wants to connect and reach out its current and potential customers. It’s fast, it has the highest open-rates and most people prefer this platform over the others. Now that we know when to use SMS marketing and email marketing, we can consider one more option - SMS marketing can be used to aid email marketing. Companies that are utilizing email marketing should consider using SMS too. Given the high-open rates and speed, SMS gets two important advantages over email marketing. That’s why businesses should realize the importance of integrating text marketing into their email campaigns. When the person’s inbox is full of emails from different companies, they might end up deleting most of them. However, getting an SMS with a direct URL will promote website traffic and boost subscriptions. But if you want to stick to only one channel, make sure to choose wisely in order to get the highest engagement rates.